2017 was a big year. Not just for politics and human rights, but for gadgets as well. We were ceremoniously showered with the latest and greatest from the tech world. From the Nintendo Switch and the iPhone X, to a host of new, impossibly thin but equally powerful laptops. We even saw tiny replica arcade cabinets that let you play miniature versions of nostalgic arcade favorites. Simply put, there was no shortage of breakthrough gadgets to keep the general public suitably occupied, enthralled and sated. Luckily for everyone with some extra cash and a hankering for the latest and greatest, 2018 is already showing signs of being a great year for the world of tech. Press your ear to the grapevine and you’ll hear the latest whisperings from deep within Silicone Valley and further afield (or, you know, just Google the right keywords). We did exactly that, and so we below we present the most innovative and exciting gadgets that our sleuths determined will be dropping this year. When the Oculus Rift and the HTC Vive dropped in early 2016, the world was abuzz with excitement. Virtual and augmented reality suddenly became viable technology with a vast functionality that extended to gaming, marketing and even e-commerce. However, the problem didn’t come with the technology itself, but rather the price tag that followed like a thorn on a rose; it was simply an unaffordable gaming luxury for the average consumer. GearVR from Samsung came to the rescue, but was still flawed in the fact that you needed an expensive smartphone to make use of the virtual reality headset. 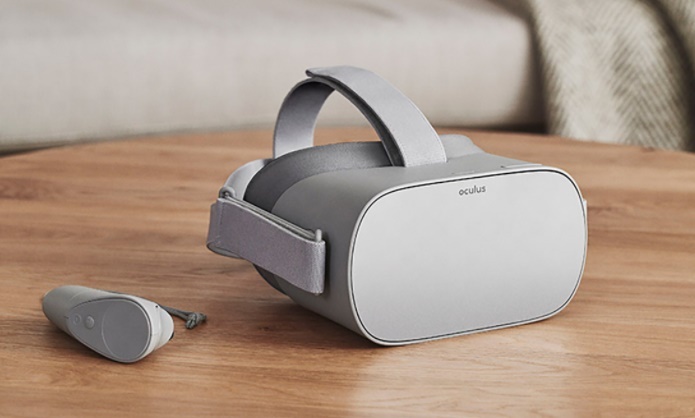 This year, however, Oculus has returned splendid with the Oculus Go, a VR hopeful that sits right in the sweet spot between standalone functionality and affordability. At just $199, Facebook is hoping that its subsidiary company will be able to ship VR headsets to the masses without breaking any banks. Flip phones are dead, right? Or at the very least a nostalgic technology that some Luddites may readopt to eliminate their access to apps and in doing so restrict themselves from addictive social media platforms. However – either capitalizing on the nostalgia that surrounds flip phones or else marketing them as a novelty – Samsung is planning the launch of the W2018, a dual-touch-screen flip phone with the functionality and specifications to match any current flagship. It’s not just a carbon copy of existing technology either. Operated using Android, the W2018’s camera is able to switch apertures between f/1.5 and f/2.4 for the choice of a varied depth of field. However, this phone comes with an extravagant price tag – likely above $1500 – and so it’s unlikely to wind up in the hands of everyday consumers anytime soon. 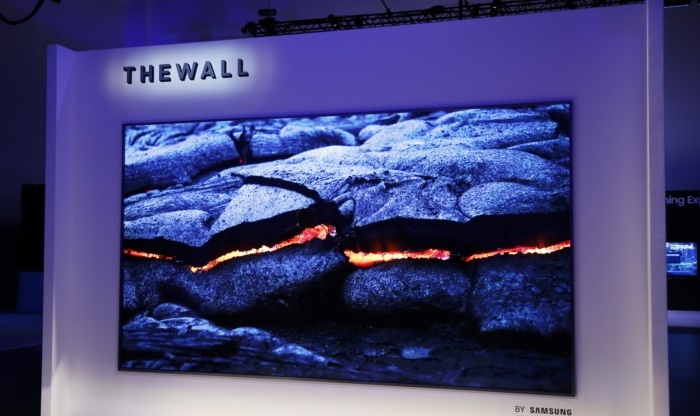 While big TVs are certainly nothing new in the world of technology, Samsung has soared to new heights with its (oxymoronic) MircoLED technology. However, there’s nothing micro about this technology. The actual name of the TV itself is The Wall, and with good reason – It’s 146 inches from corner to corner, and that’s only a start. The technology is modular, meaning anyone can add or remove modules to make the TV bigger or smaller, effectively removing the upper size limit of a screen.